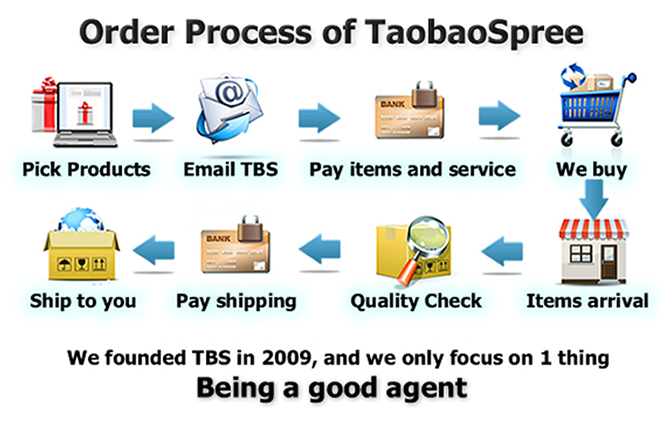 ** What does TaobaoSpree do? We are local Chinese providing shopping service and We are TaoBao Agent! We help oversea shoppers buy any products from China. Benefits of engaging Our services. 1. Charges only 10% of the total price including domestic shipping. 2. Offers discount of 40% off the standard shipping rates for EMS. 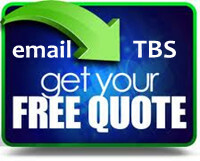 in one single package to you resulting in cheaper shipping fees. 4. Fluent in both English and Chinese. 6. See Feedback on our website or on Facebook or do the google research yourself. ** How to Contact TaobaoSpree? But reply emails as long as we have free time. ** How to place order with TaobaoSpree? --1 to 1 Personal agent for you, you can email any question to us. Copyright TaoBaoSpree.COM. All Rights Reserved. Designated trademarks and brands are the property of their respective owners.